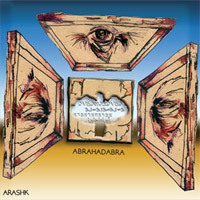 "Abrahadabra is a reflection of my exaggerated personal feelings. It is the first endeavor to my idea of “pictorial rock” - i.e. the composition of sounds that recite sequence of mental pictures. Actually all of those instrumental tracks have a real-life story behind them. 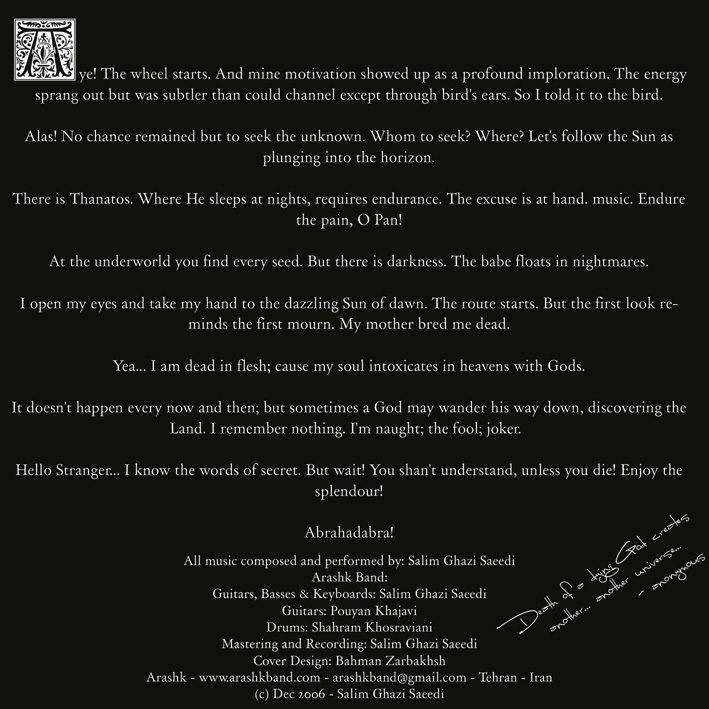 There are very vague allusions to these stories in CD booklet. e.g. “Route” is a story of a death ceremony and reflects the mourning over dead in way that is done in eastern culture. Or “Told to the Bird” is story of me confessing to a bunch of flying birds in a ritualistic way… In one word I was very lovesick, idealist and outraged while composing them." "an instrumental version of the progressive phase of Rush, when you think, Alex Lifeson would play more solos"
"Als groben Vergleich könnte man eine instrumentale Version der progressivsten Phase von Rush bemühen, wenn man sich vorstellt, Alex Lifeson würde mehr Solos spielen." "After careful listening I really wasn't able to find any particular artists that have influenced them more than others, or indeed pinpoint any specific influences at all." 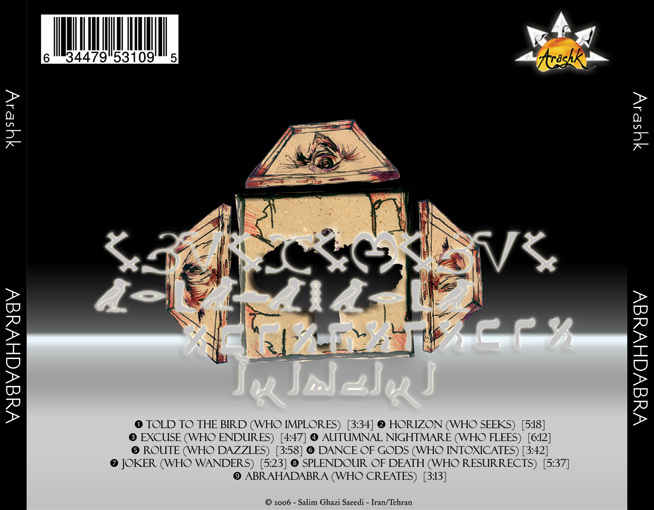 "the Ultima Thule of instrumental progressive metal"
"...Hendrix and Santana have also obviously instructed the phenomenal axe genius that Salim Ghazi Saeedi truly is. 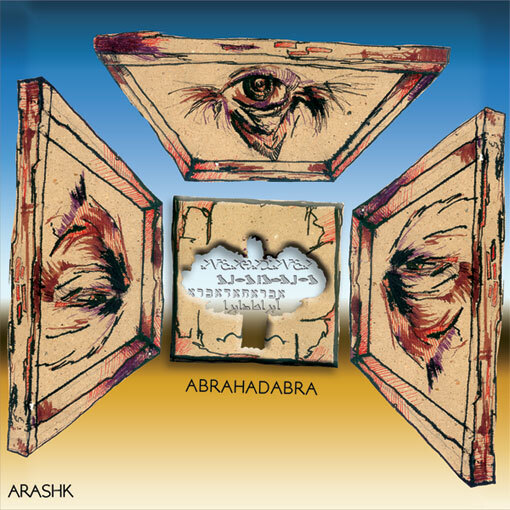 Highly recommended for a hefty dose of extremely heavy yet highly melodic metal of a VERY special kind"
"... an impressive debut of instrumental, compositionally strong, electric guitar driven progressive rock music."